Most of my life has been spent seeing landscapes along the east coast from Maine all the way down to Florida. Each place I've visited in the east were slightly different, but none of the landscapes were like the ones out west that I've always heard about and seen on the television. I wanted to see the Grand Canyon, the high plains, the desert southwest, and the amazing mountain ranges in the western part of our country with my own eyes. It took 40 years for me to see the vastly different landscapes found only west of the Mississippi River. Ever since then I made it a point to make at least one trip out west per year, visiting a different location each time. There are so many places to explore and see, and to know I've only scratched the surface, I am excited for the adventures that await me in the coming years. 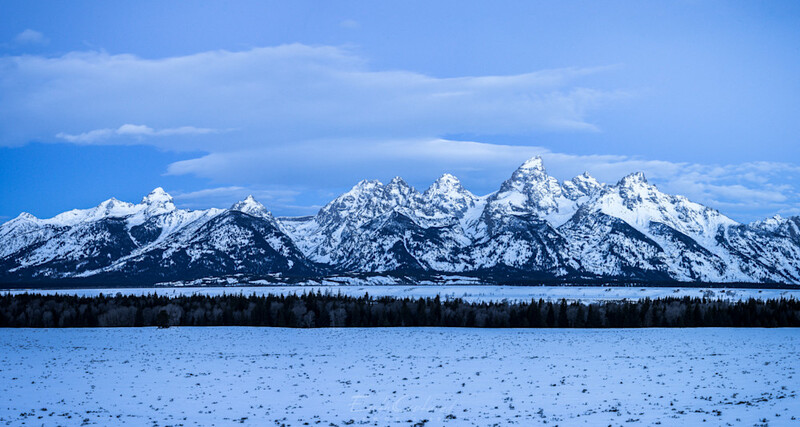 My first trip out west was visiting the Grand Teton National Park. My good friend Steve Yocom and I embarked on our first epic backpacking trip to explore the wild and scenic back country of this amazing place. It was a difficult hike, but I hardly noticed as I was preoccupied looking at the carpet of flowers covering the countryside with the iconic view of the Grand Teton mountains of Wyoming in the distance. As we hiked along the trail I thought to myself," why haven't I explored this country sooner?" We get busy with everyday mundane tasks that put us in a routine we get accustomed to and comfortable with. This is what prevented me from discovering this part of the world sooner. What can one do to break away from the same routine? First, sit down and really take some time to write down the steps you need to take to make a dream trip a reality. Without a clear plan, that bucket list trip will be just that. Next, plan out all of the expenses it would take for you to make the trip. Finally, set a date to take that trip. Once you follow these steps and you are ready to take that plunge, book that flight or rent that car. The rest will fall in to place. Americans travel more than ever before, so now is the time to break away from the mold, and visit the place/s you've always dreamed about. To see more images of various places I've visited out west, click this link. Stay tuned for another blog post next week.